Senior Solutions Engineering Architect with Nutanix, virtualisation guy, coder, automation junkie and fan of the Hawthorn Football Club. Added RHEL 7.5 as fully supported OS for migration from ESXi. Customers can now migrate RHEL 7.5 VMs from ESXi to AHV. Added OS support for AWS to AHV migration. Customers can now migrate CentOS 6.8 to 6.9 and RHEL 6.8 to 6.10 from AWS to AHV. Added manual VM preparation for ESXi guest VMs. Users now have the ability to manually prepare guest VMs while migrating from ESXi to AHV. Improved data distribution across multi-node AHV cluster. Data balancing support for target writes over a multi node AHV cluster, which contributes to efficient CVM stress management and better write performance. This feature also removes the soft limit (~10) recommended in the past on number of guest VMs included under a migration plan. Improved the migration speed of VMs. Redesigned telemetry to reduce duplication while sending the data to Athena and Insight DB. This release is a great step forward to helping customers adopt Nutanix AHV faster, easier and with reduced risk. Being able to free yourself from the AWS lock-in would be a great feeling. 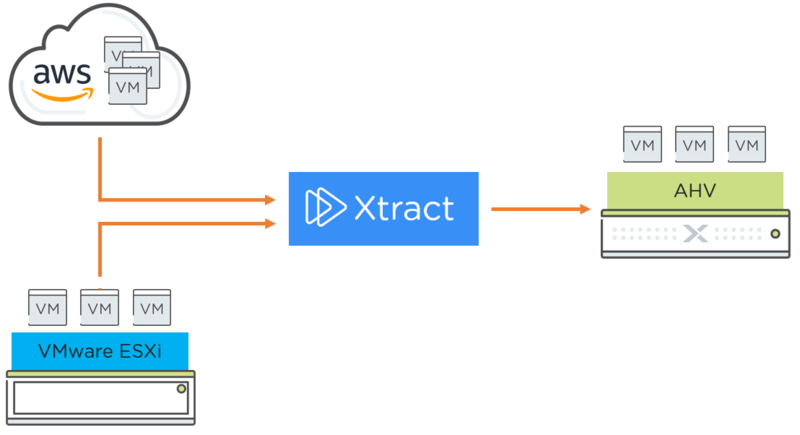 Nutanix Xtract makes it easy to move your application workload from AWS to Nutanix AHV. The first step is to add your AWS account as a Source environment. You will need an AWS Access Key ID and Secret Access Key to complete this step. Once the source environment is registered with Xtract, you then need to register the Target AHV environment. For this step, you will need your cluster IP and admin credentials. With the source and target environments registered, the next step is to create a Migration Plan. The migration plan brings together the source and target environments, along with any other migration parameters such as which VMs to migrate, how you want VMs to be prepared for migration (either manually or automatically) and what network settings to configure. 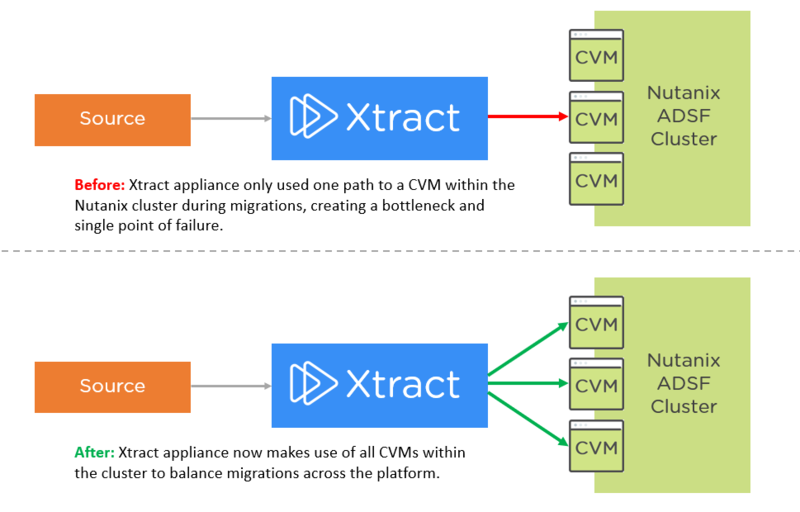 During the VM preparation stage, an Xtract Lite appliance will be deployed into your VPC to facilitate the migration to AHV. The following diagram shows the components and flow of migration from AWS to AHV. The instance of the Xtract Lite VM is a t2.micro EC2 image with 1GB RAM and 20-GB EBS volume. 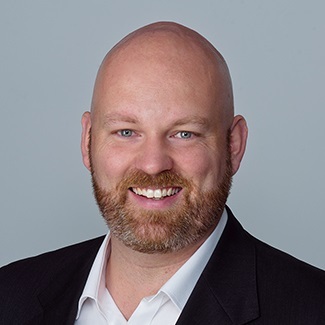 Once the migration has completed seeding data from AWS to AHV, the migration plan will enter a "Ready to Cutover" state. At this point, the administrator will have the option to choose when the cutover occurs. 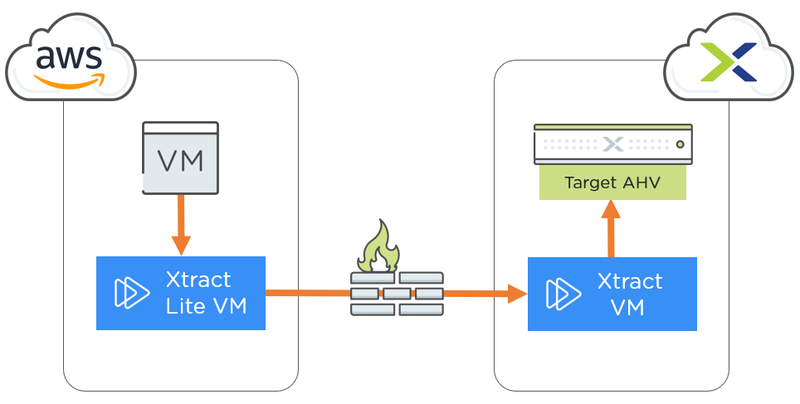 To cutover between AWS and AHV, simply select the VMs and click Cutover. 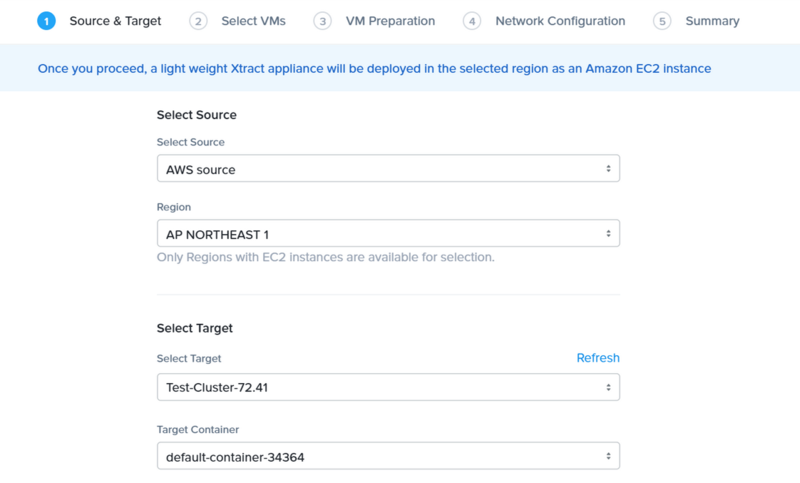 During this process, the source AWS EC2 instance will be shutdown, the final changed blocks will be synced acorss with Xtract, then powered on in the AHV environment. It can't get much simplier than that! This work is licensed under a Creative Commons Attribution Non-Commercial Share-Alike 4.0 International License. The opinions expressed throughout this site are the author's own and do not reflect the views of employers.